My brother, Don Robison, from Robison Farms in central Indiana, has been doing a significant amount of research in our fields where we had our cover crop test plot in 2011-12. 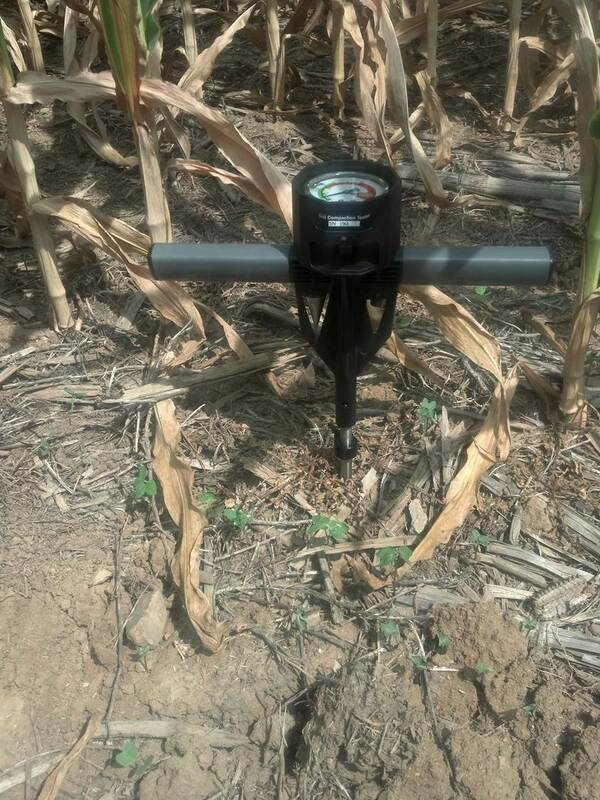 One part of the research that Don conducted was comparing compaction ratings in each different plot area and also in a check area. In each plot Don did a number of compaction readings using a penetrometer. He threw out any “odd” readings (like readings of 3.5″ deep) and reported the average of how deep the penetrometer was able to get. He followed the directions from the penetrometer company to properly record the data. The results were compelling…and interesting. The previous crop was soybeans and this field has been no-tilled for most of the past 20 years. 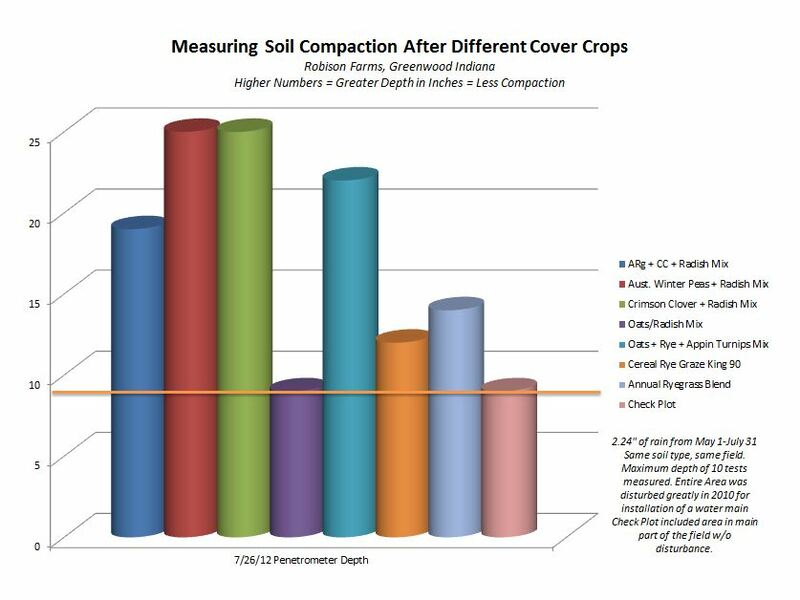 No-till alone does not appear to reduce compaction. Plots with legumes and cover crop radish had the least compaction – both going the full depth that the penetrometer could go. A special thanks to The CISCO Companies for providing the equipment and the seed to conduct this study. The cover crop plot that had peas and radish in it last winter had the least compaction – tying the plot that had crimson clover and radish in it. I’m not sure but I would certainly believe so. I have seen cereal rye grow through lake-bed soils in NW Ohio that I could not believe and radishes grow through “rock-hard” clay soil in NE Indiana. The peas continue to surprise me of how they make the soil so mellow. They don’t have the same deep roots as crimson clover but they are a great soil conditioner. It sure would be worth looking at that mix. 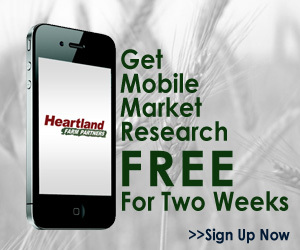 Up here in the eastern corn belt a mix of 30# peas and 5# radishes seems to be the right formula to use.